A prison door clangs shut. The reverberation echoes with immense meaning both for the person locked up and those left on the outside. But the reality is that once offenders have served their terms and leave prison, doors still slam shut. • Feel the heartbreak and the victories as you follow a young woman putting her life back together after 11 years in prison. • Experience the difficulties ex-offenders face when looking for a job. 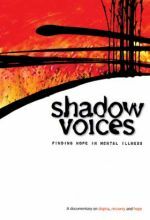 • See how mental illness complicates an ex-offender’s life. Long Road Back seeks to reduce the fear and stigma experienced by those re-entering society after serving a term in prison. Fullscreen. In the U.S. we imprison one out of every one hundred Americans! "Long Road Back" is a wrenchingly powerful portrayal of the agonizing difficulties facing these people coming out of prison. More important, it shows how dedicated persons and organizations are helping people make it in spite of their problems. I wish every congregation would watch this video and ask what God wants them to do. The Long Road Back documents the agonizing difficulties facing Americans who come out of prison, regardless of their background, education, or support structures. Follow Jamie, a young woman who went into prison at 19 and came out at 30, as she job hunts, struggles to sustain relationships, and reflects on how much easier life was on the inside. Meet Klaus, a former city government official and businessman who, in spite of his employment experience and postsecondary degrees, struggles to find a job and acceptance on the outside. Hear from the folks working on the front lines of reentry discuss the obstacles returning citizens encounter and how churches, non-profits, and communities can lend a hand. 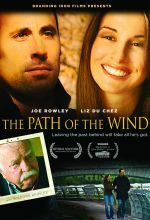 Vision Video is a premiere providers of inexpensive but flawlessly produced DVDs that are particularly appropriate for personal, congregational, and community library collections. 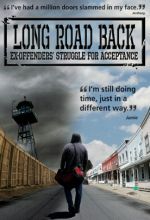 Long Road back is the story of a young woman reentering society after serving 11 ears in prison and facing the difficulties and prejudices that commonly confront ex-offenders.